Have you traded stock with paper money before? Most of the time, this is an exercise used in High School or College finance classes, and it’s an opportunity for the students to learn about financial literacy. When I traded stock with paper money, I did not check the daily ups and downs of stock trend for months. During a good market (2009, right after the 2008 crash), when I returned to check results nonchalantly six months later, paper money have risen over 20%. I wish I could turn the time back and put in some real money instead. Now fast forward to the first time I put $100 of real money into the stock market. The market had ups and downs as usual, however, this time my psychology changed completely. I was checking stock tickers over 10 times a day on my phone, and everytime there’s a $1-2 of movement in price, I wondered whether I made the right decision to buy and when should I sell. What does this story has anything to do with chess tournaments? The title of this post tells you. Playing in rated chess tournament versus casual games is like trading stock with real versus paper money. The difference is in a player’s psychology. To truly improve in chess, you have to go thru the trials of tribulation in facing tough times from tournament games. Whenever I talk to parents of new students, we discuss how to improve in chess (topic for another time) and when should a student start playing in tournaments. My recommendation: once basic chess skills are developed and the student has played 1-2 unrated tournament to get a feel of the environment, it’s time to get into the action of rated games. Sometimes I hear parents say I want my child to work more at home and be ready to play in tournaments where we know s/he will have a good showing. Chess tournaments are not like school tests. School teachers often give students study guide after study guide. If the student is well versed in all the practice questions, s/he is ready for the test and getting an A or 100 is no problem. It’s often hard to gauge exactly how strong is your opponent. They can come from a different country or state, or they took time out from chess and only came back recently. The way you feel in a casual game is not the same as a meaningful game. The stock analogy earlier in the article covers this point. The oh-no moments will be much more painful than a skittle room’s game. There are tensions in the tournament room. In any given moment, the room is quiet, you can hear chess pieces move but nothing more. The nerves and the tension become less intimidating for the more experienced players. You can only get better in tournament chess by experiencing more. And remember, you’ll never be 100% ready. Treat chess tournaments as job interview instead of school test, there is no guarantee, but the best practice to improve your odds of success is to experience more and learn from these experiences. Try not to look at the rating of your opponent- This could happen in one more ways. If you are ever at chess tournaments with your parents, it might be a better idea for you to ask them to look at the pairings. This would lead to most chess players having games without as much fear of rating loss, playing better chess, and not playing “hope chess” (Moves that are made on the basis that the opponent would not see them due to their rating). Play Online chess Against Higher Rated Opponents- Sometimes playing against higher rated opponents online gives you more experience playing against them and you are more likely to be more confident playing against them since you have played similar players. This is crucial because you are able to find weaknesses in your openings without actually playing them out in a tournament chess game. Think of it as a learning opportunity- Usually playing against higher rated players helps you put your openings to the real test and finding out actually how comfortable you are playing such chess positions. You also lose pretty minimal rating if you lose to higher rated players. Also you can sometimes ask for analysis afterward to get the input of the player and his views of your position throughout the game. Remember rating is just a number and don’t stress about it! Although you may feel down at times about rating loss and having a bad tournament, keep in mind that if you are dedicated and always playing the best chess moves in the game, your rating will reflect it. Losing is sometimes the best learning experience. At the end of the day playing better players is what makes you a better player. Hello everyone. My name is Vedic Panda. I’m 16 years old and a National Master from the state of Georgia, and I’m humbled to be your newest Chess Summit author! I’ve decided that for my first Chess Summit article to do my best to cover the interesting and very relatable problem that all chess players at some point go through, chess plateaus. Firstly, I should fully explain what I mean by a chess plateau for our less informed readers. A chess plateau is when your rating or level of play stagnates or remains around the same for a long period of time. An example of this would be a player who has had a rating of around 1700 for several months. Chess plateaus are something that every chess player at some point in his career has faced and are often discouraging to the player going through it. This article will be discussing tips on how one can overcome a chess plateau. Getting better at chess is not a simple process. While it might be easy at first to climb the ranks and gain rating, getting to higher levels like Class A, Expert, and Master requires that you learn new things. For example, you can’t become an expert without knowing your king and pawn endgames. It’s important to note that chess improvement doesn’t necessarily always mean instant rating increase. Nothing is guaranteed in chess, but if you continue to work hard, your chess understanding along with your rating will increase. When things aren’t going well it’s always good to take a break from chess. 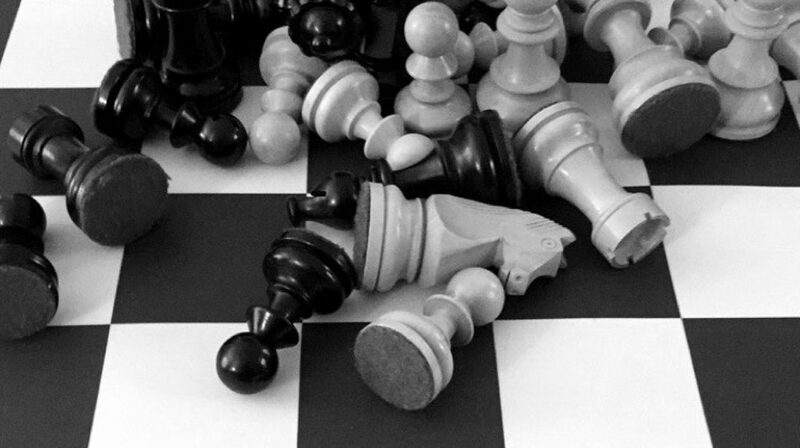 It’s easy to get for someone to get frustrated at chess when things aren’t going well. Taking temporary breaks can help you recollect yourself, remotivate, and can even help you enjoy playing chess more. At the end of the day, it’s important to have fun while playing chess. No matter what your rating in chess is, if you’re having fun while playing, that’s all that really matters. It’s easy to define yourself based on what your rating is but, no matter what, how you feel about chess shouldn’t be affected by it. As long as you enjoy playing, your rating will increase eventually. Going through chess plateaus is a tough experience. But in those tough times, it’s important to stay motivated and never give up. As long as you continue to have fun and keep up your chess studies, I can guarantee that you will be out of your rating slump in no time! I hope this article was helpful and if you have any personal questions relating to this topic, feel free to comment below and I’d be glad to answer. Until next time! As some of you may know, I host a partnered chess.com stream, Challenger’s Corner (originally named the Steincamp Show), and my audience has since grown quickly within the chess.com community. Since it’s been a few weeks since I last discussed my stream on Chess^Summit, so I figured this week would be a good opportunity catch you all up on my new show! In this article, I’ll talk a bit about some of the most common chess mistakes I’ve seen, as well as dive into some of the behind the scenes work that goes into running a partnered stream. As I hope you all can tell, when it comes to chess, I really enjoy coaching and making educational materials available online (for free!) for aspiring players. Knowing that chess.com is a big supporter of the work we do here at Chess^Summit, I wanted to create a bridge between the two platforms to help create a more interactive experience for both chess.com players and Chess^Summit readers. It’s become interesting for me to watch how important technical skills have become over the last five years in terms of promoting events for the chess community. If you have any interest in organizing online chess events, I’d strongly encourage you to start learning Photoshop now – it’s surprisingly easy, and after taking a 101 class on digital composition back in Pittsburgh, I’m basically self-taught. Oh, and it’s a lot of fun! So that’s where I am – let’s talk some chess! Last Monday night, I got to use a nice trap to win a piece out of the opening. As I mention in the clip, I’d actually had this position on the board (though somehow missed the tactic!!) in a tournament game years ago against a 1900+ rated player. People really miss this stuff! Since, I’ve used it as a opening trap in a fair number of games on chess.com. This is a really simple tactic, but it shows how complacent your opponents can be in the opening – even in unfamiliar waters! Moral of the story: always ask what your opponent’s threats are, no matter what stage of the game it is in. Even though my opponent was 1300, I’m pretty sure if I gave him this position as White, he would be able to find the win. The game didn’t last much longer, and you can go through the rest here. Make sure to remember this one for your own games if you decide to take up the English! I’m not sure why, but a lot of people have tried a particularly odd attack against me: moving the g-pawn in front of their king. While I enjoy getting free attacks against my opponents, it’s time to set a new rule: don’t play g4 if your king is on g1! White’s position is actually perfectly fine – perhaps not advantageous, but certainly enough for equality. So why did he play 16. g4 here? If you look at White’s position, the obvious question is: Well this is nice, but what’s next? Because nothing immediately stood out, White probably thought with all of the pieces developed, it’s okay to take some risks. In my personal experience, I find it best to use these moments to identify what your opponent’s motives are rather than exposing yourself. For that reason, I’ll recommend 16. a3, with the simple idea of stopping Black’s thematic Carlsbad pawn structure ideas. Now if there were no knights on the board, Black would have to move the king away and lose the f4 pawn (and the game), so my job is to defer my move to White. I played 44…Nc4, because White cannot recapture without losing the pawn ending. Knowing that White is limited to moving the knight between b1 and d2, I was able to simply march my knight over to g4 and win. Even though for a brief moment White had equality, we saw how easy it was for me to take over and win because there were a lot of factors in the position. The key to improving at endgames is simple – practice, practice, practice. Always play for two results and look for your opponent’s weaknesses. In the next example, I use Jonathan Hawkin’s method from Amateur to IM, planning in steps. Abstractly, this sounds difficult, but if you noticed in the video, breaking down this endgame into steps was surprisingly easy – the knight is a really clumsy piece anyways… Don’t be afraid to play out a position you can’t lose! As I mentioned before, my stream community on chess.com has grown, thanks in part to our official chess.com club! I’m hoping to integrate content I create here on Chess^Summit with my streams on chess.com, and as regular readers, you are all more than welcome to participate. With nearly 100 active members in just a couple weeks, weekly arenas are becoming a regular event, and now, my channel is introducing our first-ever daily chess tournament! Set to start on August 11th, this 3 days/move challenge will kick-off my channel’s off-stream activities. 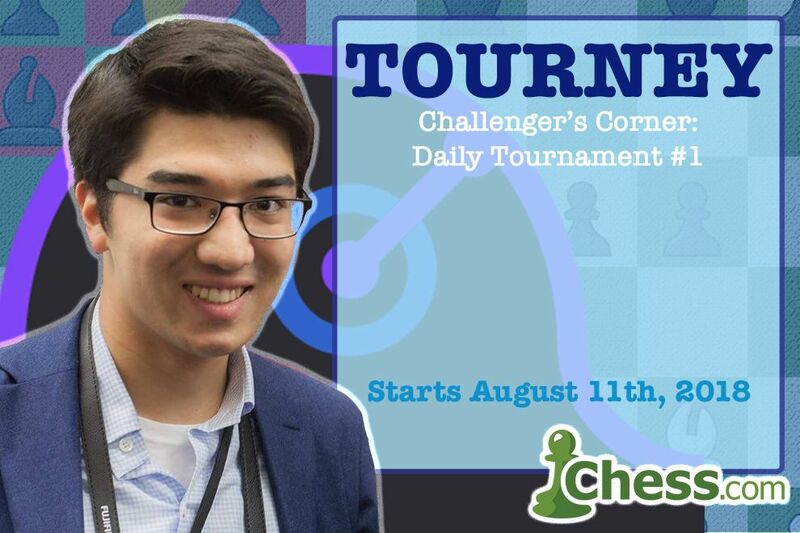 I’ll be playing alongside members of the Challenger’s Corner chess.com club, so if you want to play, make sure you join the club so you can register! If you haven’t yet, follow me on Twitter (@isaackaito), as I’ll be tweeting some of my best tactics and moments throughout the tournament! Don’t have a chess.com account yet? No worries, you can create one here! I got bumped from my usual Monday night spot for next week, so I’ll be on this Sunday night for an extra hour to play with all of you! Make sure to join this weekend’s online extravaganza as the Challenger’s Corner Club puts on its longest arena challenge yet! Follow me on Twitch to get notifications about when I go live, both on my own channel, and chessTV!